DD Direct Plus Set Top Details and Installation information - How to Install ? for installation of DD Direct Plus, you need one Dish, Set Top Box, LNB, and one cable to connect LNB to Set top box. DD Direct Plus's first Part is Set Top Box or Digital Satellite receiver. You need to connect your Set top box with TV sand with RG6 connection / Cable you have to connect set top box to lnb. So install your dish location to 93.5 degree, you can use for compass or you can use satellite finder or sat finder to find signals. once you get signal you can tune your box to auto search. Hurry, you have got 59 TV channels which is Free for lifetime. 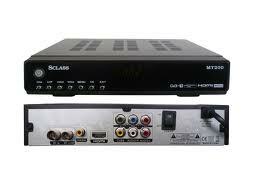 Question : What is price for this digital set top box ? Ans: Price is not declared for different different type set top box different different price. For lowest price you can purchase any mpeg-2 receiver from local market, if you are looking good quality set top box like HD then you have to pay more. Question : Where I can purchase DD Direct Plus System? Ans: You can purchase dd Direct Plus System from any local shopkeeper or dealer. you can also purchase online. Question : How many channels I will receive ? Ans: At this time DD Direct Plus DTH providing 59 channels. Question : What is Transponder Frequency of DD Direct Plus DTH ? You can also fill these frequencies manually in set top box. Question : Can Record Live TV Programs in Pen Drive / USB Drive of DD Direct Plus DTH? Ans: Yes, you use USB recording set top box, ask your local dealers. I am from Delhi want to install DD Direct Plus, is there any one who install DTH at my home ? can i use my "in digital's" "Set Top Box" as a normal set top box for DD Direct Plus. if yes then how it is possible. please suggest me.